January Real Estate Market Update - Sales are up! Sales - Up 7.6 percent from 263 in January 2014 to 283 in January 2015. Median Price - Up 3.4 percent from $179,000 in January 2014 to $185,000 in January 2015. Inventory is down 3.9 percent from 1,953 single family listings at the end of January 2014 to 1,877 single family listings at the end of January 2015. Supply - At the end of January 2014 there were 7.4 months of supply at the current rate of sale. At the end of January 2015 there were 6.6 months of supply at the current rate of sale. Days on Market - The average days on market is up 13.8 percent from 137 days in January 2014 to 156 in January 2015. 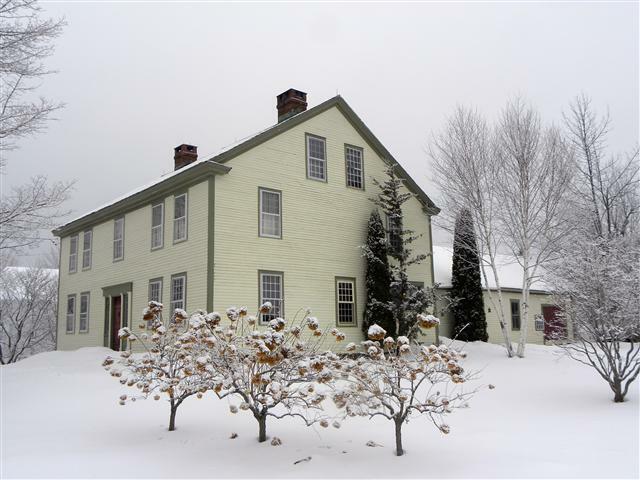 A Six-Year View - The median price is down 2.6 percent from $190,000 in January 2010 to $185,000 in January 2015. Mortgage Rates - 30 year fixed rate mortgage averaged 3.66 percent with an average of 0.6 points for the week ending January 29, 2015. Last year at this time the 30 year FRM averaged 4.32 percent with an average 0.7 points. President's Day: How does the White House compare to the typical home purchased? In the spirit of President's Day we can use data from the 2014 Profile of Home Buyers and Sellers to see how the typical home differs from the White House. 84% of buyers purchased a previously owned home, with 79% of buyers choosing a detached single-family home. Looking at first-time and repeat buyers, both also purchased detached single-family homes more often with 75% of first-time buyers and 81% of repeat buyers. 50% of all buyers purchased their home in a suburb/subdivision. The typical detached single-family home purchased was 2,000 square feet. Homes purchased also had a median of 3 bedrooms, 2 bathrooms, and was built in 1993. Of all buyers, the expected length of tenure in the home purchased was 12 years. While tenure in the median expected tenure in home lasts around 12 years, in the White House the expected tenure is between 4 and 8 years. 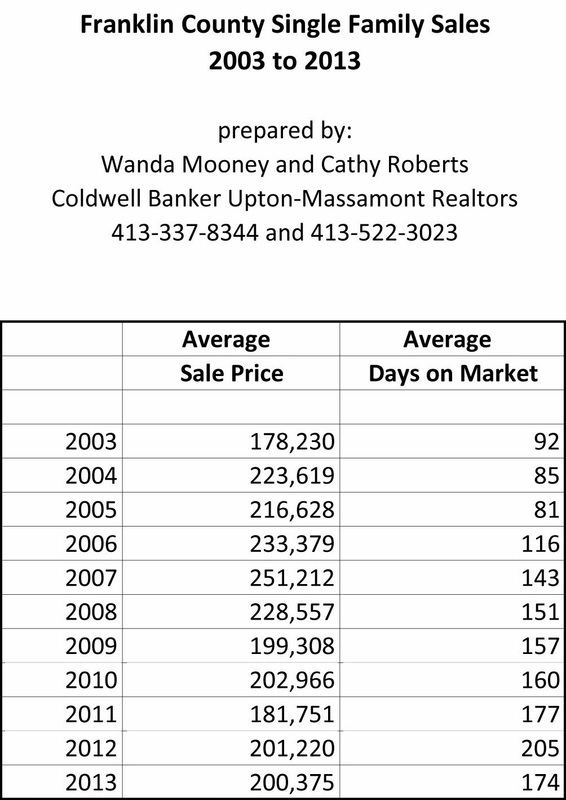 I've been keeping track of single family sales for all Franklin County towns since 2003. I recently added 2014 and you can see a trend of where real estate sales are headed. Interesting to see the rise and fall of the market over the past 12 years. It appears we are now at 2004 to 2005 prices and an increase in values should continue over the next few years. I do have the breakdown of sales for each town since 2003. If you are interested in knowing the activity in your specific town, feel free to email me at wanda@mooneyandroberts.com. This information is gathered from MLS and does not include private sales.